Fresh fruits are just as beautiful as they are nutritious! 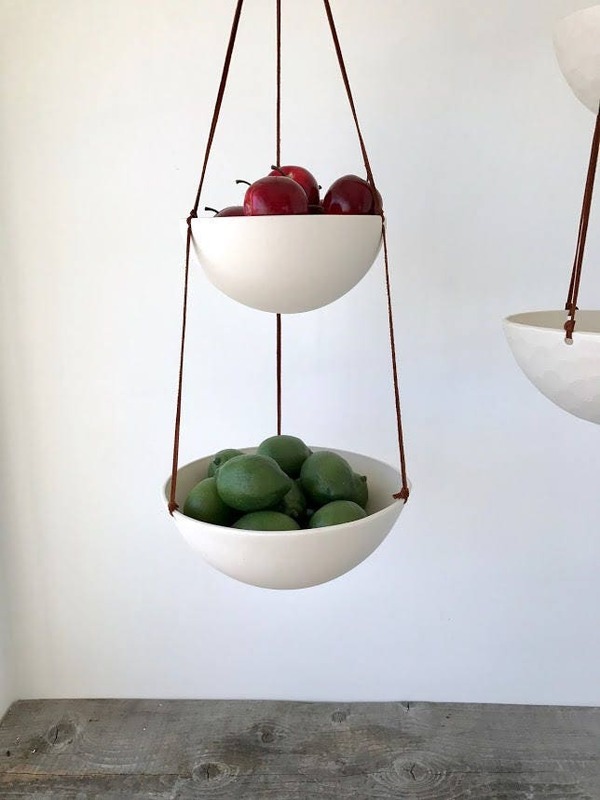 This hanging porcelain fruit basket is the perfect way to artfully store your produce and save valuable counter space! 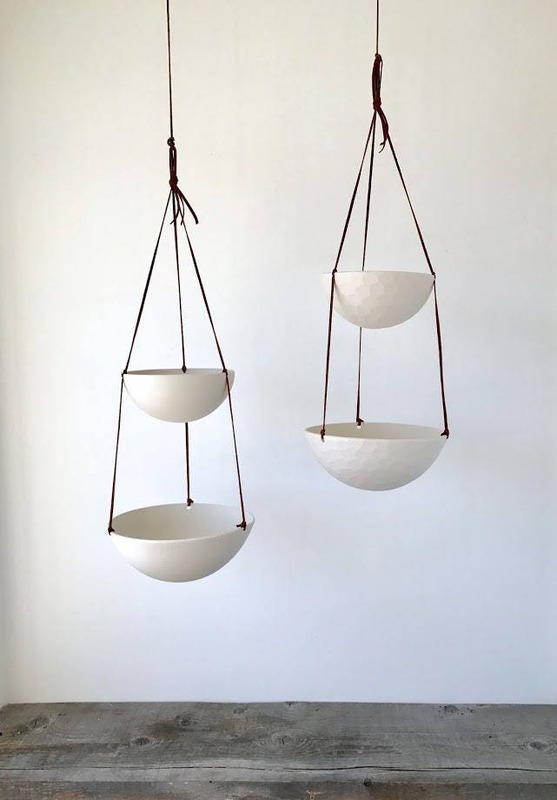 We create each bowl from a fine white porcelain which is then hand carved with a geometric texture. 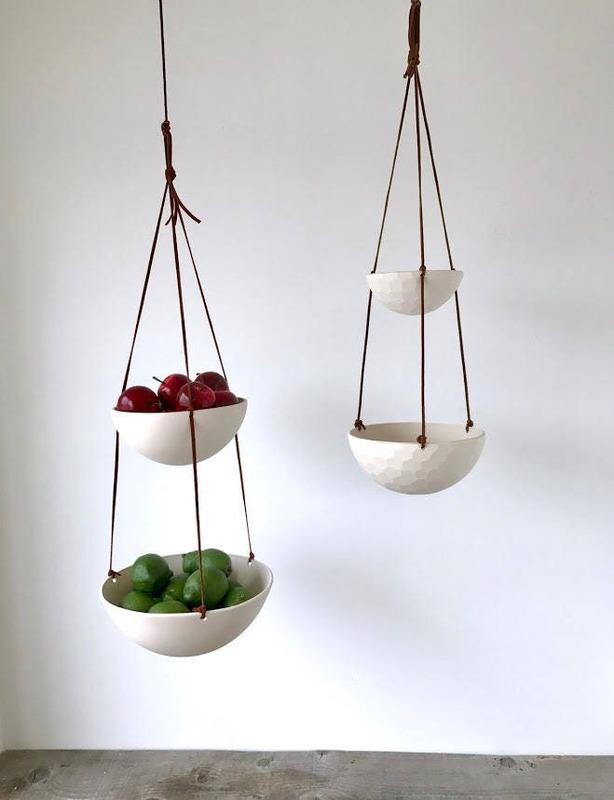 The two bowl sizes are suspended using a high quality leather cording. 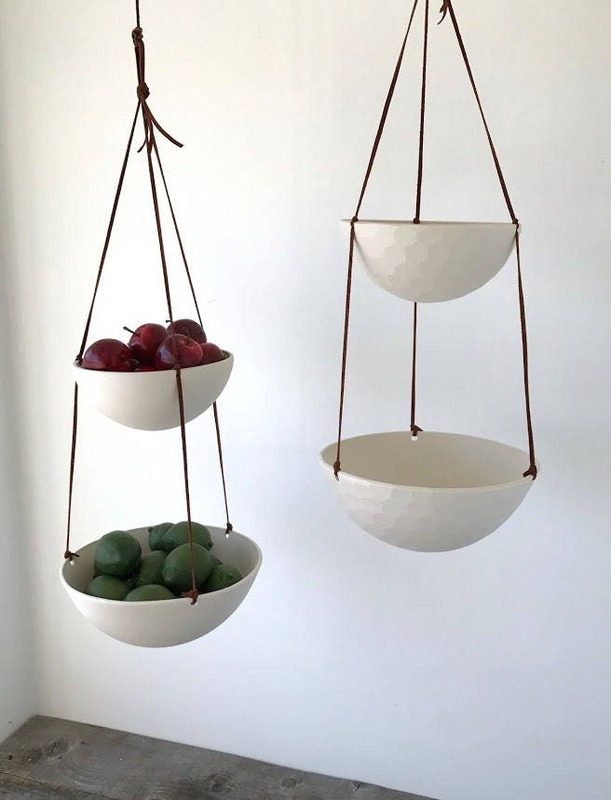 We love this design and so will you! 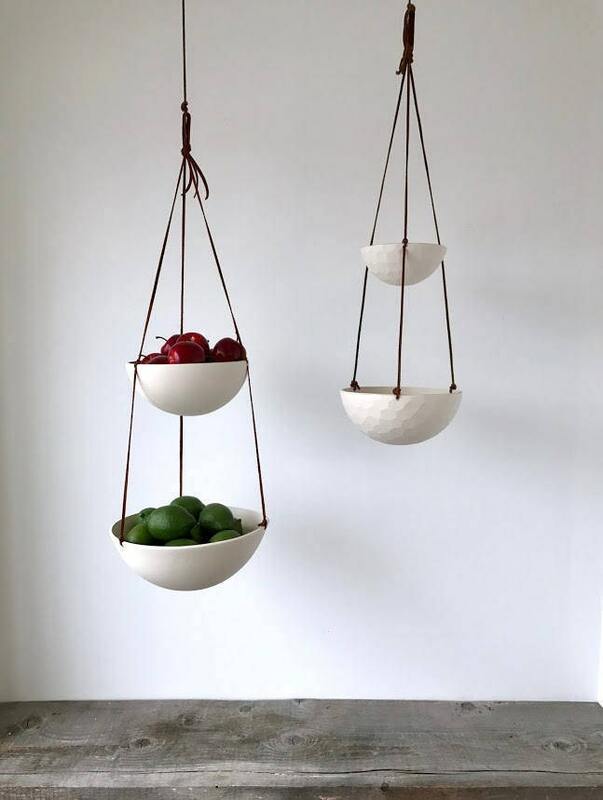 Overall length (from top of leather to bottom of bottom bowl): 34"
The best way to install this is to purchase a wall hook. This way you're not limited by the height of your ceiling. Thanks for stopping by my shop.